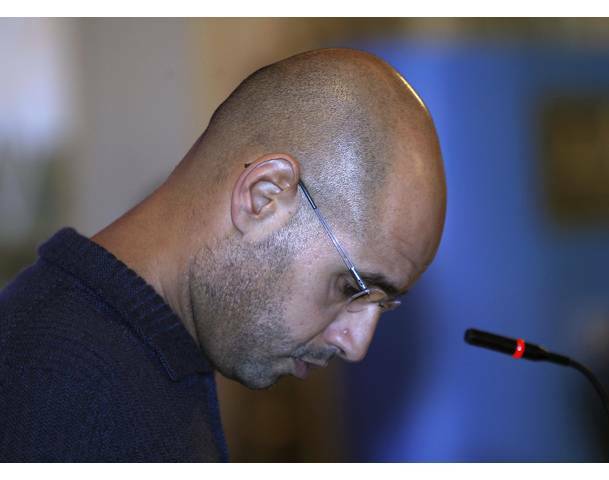 ← Saif Gaddafi Arrested: What now for Justice in Libya? ICC Confirms: Trial in Libya by the Court is a Possibility! There are, however, few obvious alternatives to trying Gaddafi and Senussi at The Hague, which risks angering many Libyans, and holding a trial in Libya without ICC authorization, which is likely to upset the West, violate international law, and provoke accusations of victors’ justice. “It is possible for ICC judges to organize a trial in the country if deemed appropriate,” El Abdallah said. Readers will know that a handful of observers, including David Kaye, Kevin Jon Heller and myself (see here and here) have spoken out in favour of such an option. Yet, to date there had been no official statement in support or against it. Of course, with ICC chief Prosecutor Luis Moreno-Ocampo bound for Libya at some point this week, it remains to be seen whether he will attempt to negotiate such a justice-sharing agreement with Libya’s National Transitional Council. He could insist on bashing Libyan authorities over their heads with their purported procedural obligation to hand Saif al-Islam over to The Hague – but given their obvious desire to hold a trial in Libya this would seem fruitless. I say: go for it! This entry was posted in ICC Prosecutor, International Criminal Court (ICC), Libya, Libya and the ICC, The Tripoli Three (Tripoli3), Transitional Justice. Bookmark the permalink. 4 Responses to ICC Confirms: Trial in Libya by the Court is a Possibility! Hold your horses, Mark. I’m pretty certain the spokeperson was talking about an “in situ” trial, and not the hybrid kind you advocate for. I actually first advocated an “in situ” trial – where the ICC simply holds the entire trial and is responsible for dispensing justice but does so on Libyan soil. David Kaye was much closer to advocating the hybrid solution that I was. In fact, I initially expressed some reservations at a hybrid solution in large part because I don’t think the ICC is or really should be a hybrid tribunal. However, given the NTC’s desire to be in charge – at least to some extent – I have moved closer towards thinking that some kind of justice-sharing agreement where both the ICC and the Libyan government share responsibility. In any case, whether they advocate an “in situ” ICC trial or something approximating a hybrid tribunal, at the outset I would support it. In what sense? I can imagine, from a practical perspectives, that there are a lot of issues that could arise but what, in particular, do you think might hobble an “in situ” trial? Feel free to elaborate in comment or draft blog post format!